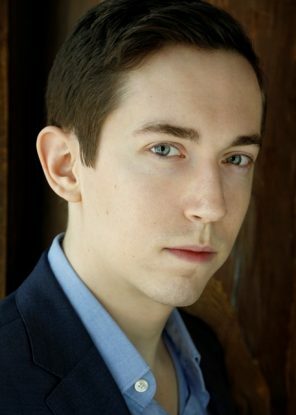 Tenor Jonas Hacker hails from Lake Delton, Wisconsin and is a recent graduate of the Academy of Vocal Arts. He was as a 2016 Filene Young Artist with Wolf Trap Opera, where he sang Sospiro in Gassmann’s comic opera “L’Opera Seria” and presented a concert with collaborator Steven Blier. That same year he was selected as one of the nine Grand Finalists in the Metropolitan Opera National Council Auditions, was one of nine Finalists in the Mildred Miller International Voice Competition, won second place in the Giargiari Bel Canto Competition, and sang in Washington Concert Opera’s 30th Anniversary Concert under the baton of Maestro Antony Walker. Mr. Hacker’s recent engagements include George Gibbs in Ned Rorem’s Our Town with Townsend Opera and Fresno Grand Opera, Jaquino in Leonore with Washington Concert Opera, and the tenor soloist in Bach’s Cantata 150 with the Philadelphia Orchestra under the baton of Yannick Nézet-Séguin. Jonas is featured in WTO’s 2017 productions of Glass’s The Fall of the House of Usher (Roderick) and Musto’s Bastianello (Bastianello the Younger), and he will appear in recital with Steven Blier.